Businesses operating complex digital supply chains now face consequences beyond reputational damage. Technology has infiltrated every aspect of our consumer lives, so it follows that it is also causing a major shift in manufacturing and the supply chain. From the ‘smart factory’ or ‘digital twin,’ to the ‘smart home,’ cyber-physical systems are interacting seamlessly through the Internet of Things. Accelerated digital transformation is at the heart of the crystalising fourth industrial revolution, or popularly known as Industry 4.0, and the industrial sector is poised to benefit significantly from it. Previous industrial revolutions have brought huge opportunities to businesses, but also a number of challenges. Regardless, these past developments have shown us that organisations that don’t embrace change early will risk becoming irrelevant and struggle to survive. According to a recent study from Infosys Consulting, businesses in the UK and Germany recognise the importance of embracing Industry 4.0 principles. While overall 79% of companies claim to be partly digitised, only five percent of UK companies are digitised, compared to one-quarter of German companies. This shows organisations, particularly in the UK, have a long undertaking ahead in their journeys to have a strong, end-to-end digitalised ecosystem through their supply chains. One major challenge that organisations are now facing is ensuring ethical consumption and the associated supply chain legislation are not overlooked. As consumers ask tougher questions about where their goods come from and who made them, as well as whether or not their personal data remains safe in the hands of companies, governments are responding with more stringent regulations forcing disclosure of product and supplier information. Accordingly, Infosys Consulting research shows that 84% of senior decision makers say new legislation has become an increasingly important factor for influencing their strategy for ethical sourcing in the supply chain over the past five years. The same is true for transparency, where 83% of business decision makers cite new legislation as an increasing driver for change. In Germany, where stringent laws on data protection have been in place for some time, it is notable that nearly a quarter of senior decision makers regard legislative compliance as one of the three main challenges they have needed to address when digitising their supply chains. The introduction of the General Data Protection Regulation (GDPR) in May 2018 requires a similar level of due diligence and reporting from companies across the globe, so it is surprising that just 11% of UK businesses see legislation as one of the challenges they have faced in trying to digitise the supply chain they manage. This in mind, are UK companies so confident of compliance that they do not see legislation as a factor in their approach? Or have they yet to fully consider the wide-ranging implications that forthcoming legislation will have on their supply chain? Recent research from the Technology Law Alliance suggested just a fifth of UK firms were ready when GDPR launched in May, and companies are already being fined for lack of compliance. Legislative compliance should therefore be a key consideration in any digital supply chain strategy. Beyond this, in recent years, laws such as the Modern Slavery Act in the UK have forced brands to take responsibility for working conditions throughout their entire manufacturing supply chain. Similarly, the introduction of the EU Directive on the Disclosure on Non-Financial and Diversity Information (Directive 2014/95/EU) means that some 6,000 large companies across the EU are now required to report on their environmental and social impacts. For many organisations, legislation is merely a reinforcement of established voluntary reporting standards, such as the Global Reporting Initiative (GRI). As far back as 2011, KPMG showed that the majority of the 250 biggest companies in the world disclosed sustainability performance information. Codifying these standards into law has raised the stakes however, necessitating a comprehensive and strategic approach by companies to ensure compliance and shield themselves from potential legal, financial and reputational exposure. It is clear we no longer operate in an era where ethical business practices are a “nice to have,” but rather, it’s become a core tenet of business strategy today, and one that can add economic value for organisations that embed it in their culture. 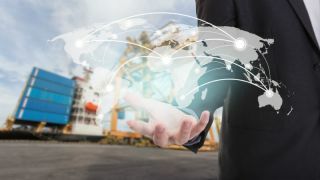 Consumers are demanding more end-to-end transparency in the products they buy, which means that supply chain managers have to ensure that there is more visibility and traceability practices implemented into each step of their logistics operation. This can have a direct impact on image and value for brands. Awareness of the risks may be high, but problems persist, with hackers frequently exploiting vulnerabilities in the supply chain to access personal customer information. Governments have taken action, and legislation is playing a vital role in driving digital security up the corporate agenda. Key stakeholders overwhelmingly agree that digitisation provides a clear pathway to achieving the goals of transparency and traceability across the supply chain. But digital transformation to industry 4.0 also opens up avenues for data theft, industrial espionage and attacks by hackers. Given the careful balancing act businesses must strike, it is not surprising then that digital security is one of the most significant barrier to achieving future operational goals. It is easy to see why this is the case when hardly a day goes by without reports of another high-profile cyber-attack hitting the headlines. Businesses today face significant external pressure to do the right thing, and in most cases, additional legislation is merely a rubber stamp for the best practice they have long shown through voluntary certification. Legislation performs an important role, however, in clarifying where the responsibility lies for ensuring best practice. It also ensures there is recourse for action if a company is shown to be negligent. For businesses operating complex digital supply chains, failure to deliver transparency and consistency at every level of the supply chain now has consequences beyond reputational damage. Whether we’re talking about GDPR or the Modern Slavery Act, throughout these regulations and initiatives are two common threads: disclosure and due diligence, both of which require increased knowledge about the supply chain and the origin of products and services. Companies' procurement strategies need to fully embed these new expectations and requirements by integrating due diligence measures at the core of the procurement process.